One of my good friends in Chicago gave birth to a beautiful baby boy recently. I wanted to bring over some food for my friend and her hubby to help them during the transition period. I normally would have baked some banana bread, but my friend makes a pretty mean banana bread herself so I wanted to try something different. 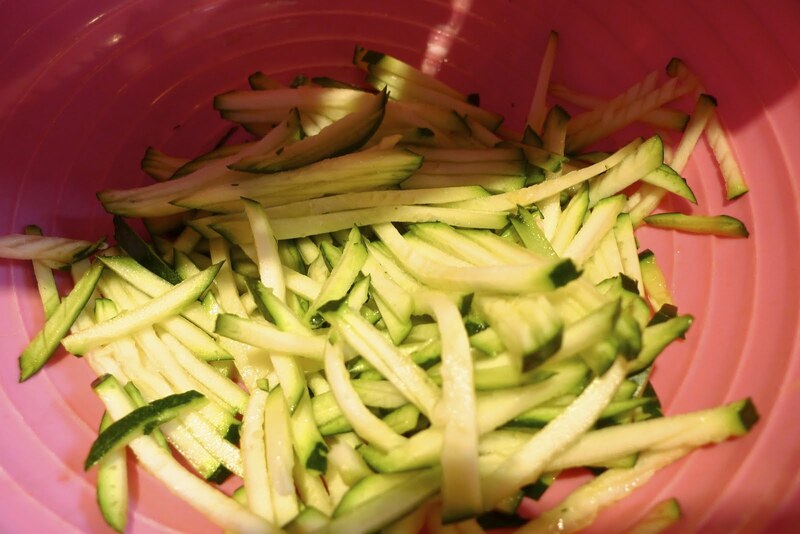 I was going to make some shepherd's pie for them as well and had some zucchini to spare so looked up a zucchini cake recipe. I found one from Huckleberry Cafe, which is a great cafe in LA that I've been too so I decided to try it. 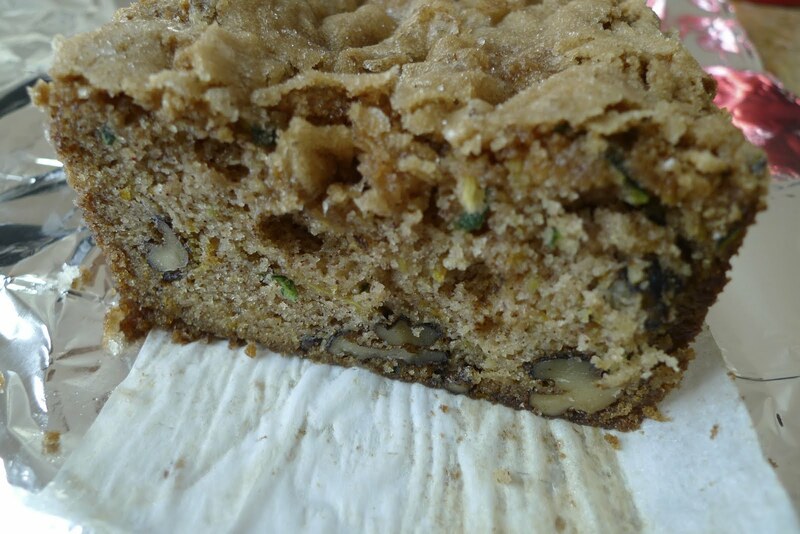 The surprising thing about zucchini bread or cake is that you don't need butter, it's vegetable oil based. 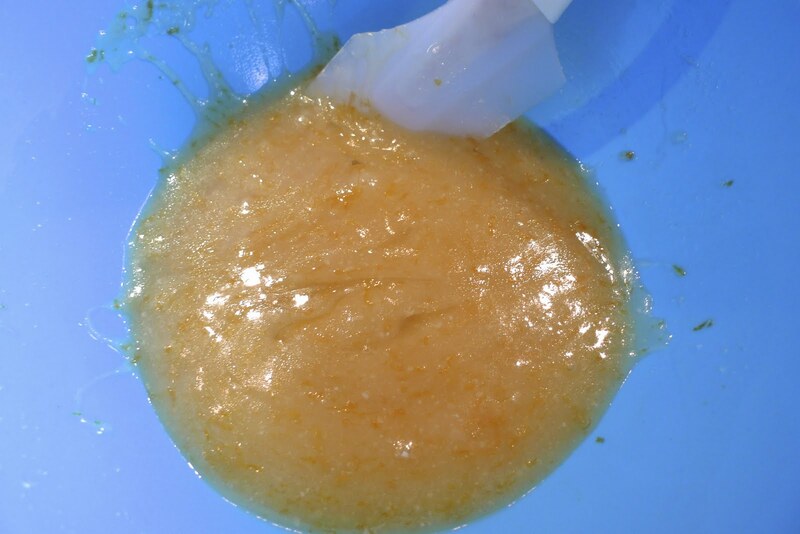 I've been so accustomed to using butter in breads or cakes, but this yielded a very moist cake so maybe I should try more vegetable oil based recipes. I'll be on the look out for them. Heat the oven to 325 degrees. 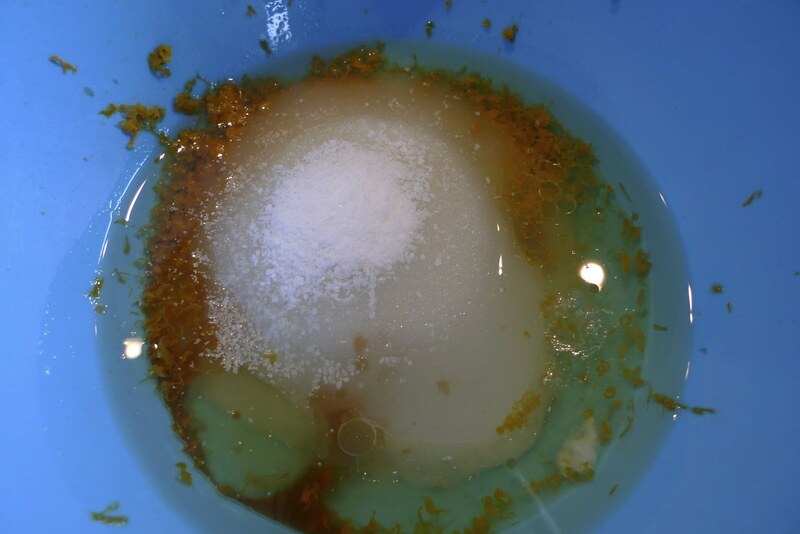 In a large bowl, combine the egg whites, vanilla extract, orange zest and vegetable oil, and whisk just to combine. 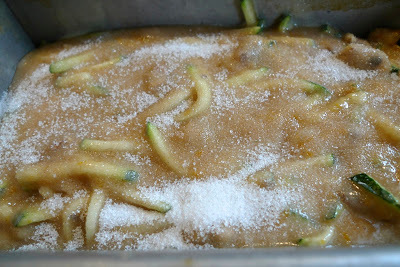 Whisk in 3/4 cup sugar and the salt just to combine. 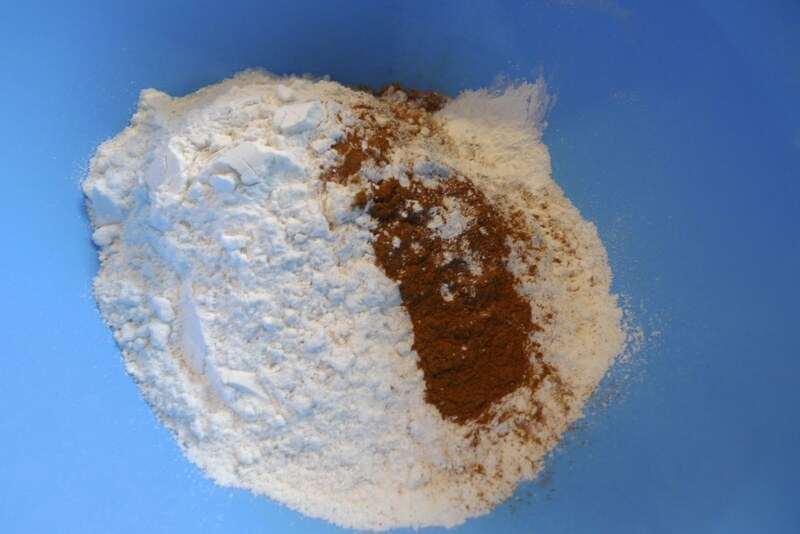 In a medium bowl, whisk together the cinnamon, baking soda, baking powder and flour. 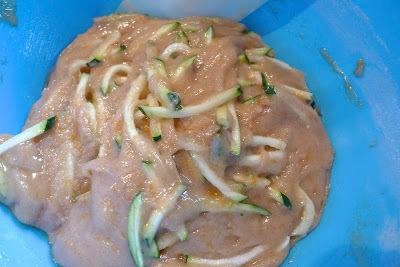 Gently whisk the dry ingredients into the egg white mixture just until combined. 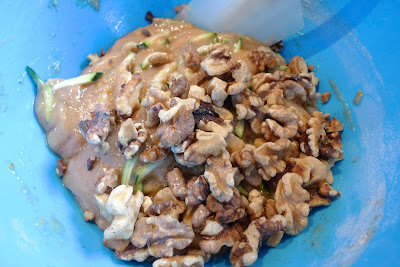 Fold in the zucchini and walnuts. Here's my shredded zucchini that I put through my mandoline. 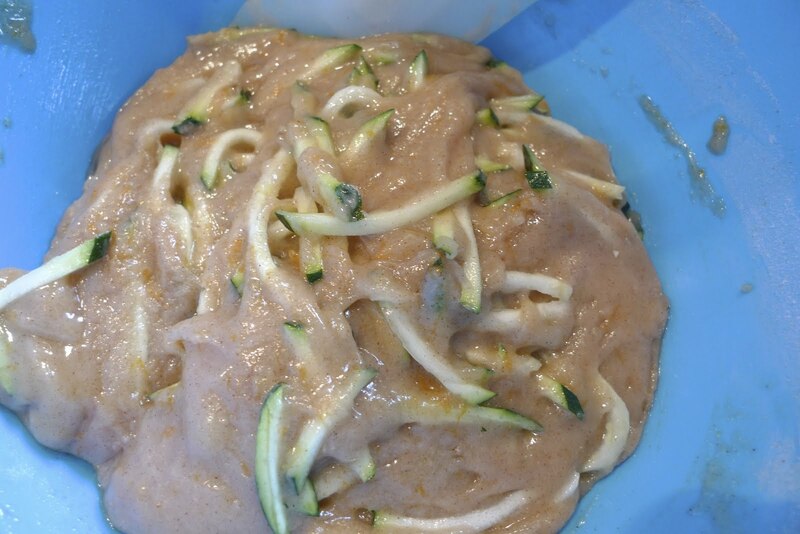 Here's what the batter looked like with the zucchini mixed in. The batter is unique in that kind of clumps together into one ball. Grease an 81/2-inch by 41/2-inch by 21/2-inch metal loaf pan. 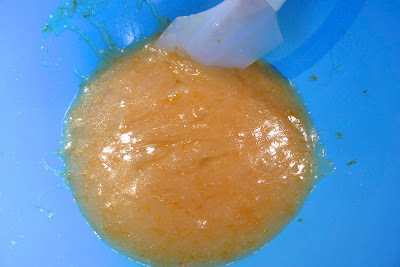 Line the pan with parchment paper and grease the paper. Pour the batter into the pan. Lightly sprinkle the top of the batter with the remaining 11/2 teaspoons sugar. Bake until the cake is set (it will spring back when gently touched on top, and a knife inserted will come out clean), about 1 to 11/2 hours. Mine took exactly 50 mins, so it will vary depending on what pan and oven you have. Cool the loaf for a few minutes on a rack, then remove from the baking dish and cool completely on the rack. 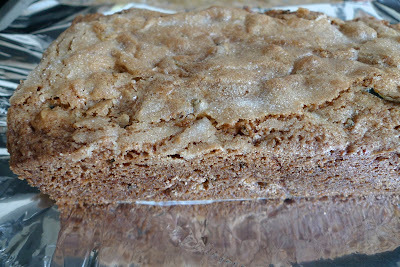 I wasn't sure why this recipe was called a tea cake, but it is just about the perfect thing to have with a cup of tea. It has a cake like quality to it because it's so moist, but it's filling and dense enough to pick up and eat with your hands, which is key for a new mom with a newborn. 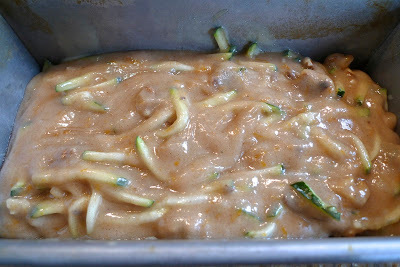 It got rave reviews from my friend, so if you have some zucchini sitting in your fridge, go make this cake.